Thank you to Netgalley and Bookouture for the ARC I received in return for my honest review. As a teenager (many, many, many years ago! ), I loved anything to do with the paranormal – movies, books … anything. As an adult I seem to have drifted away from this genre, but I am so pleased that I didn’t avoid this book as it reminded me how much I enjoy the unknown and mysterious aspects of life! DC Jennifer Knight works in the police department of the quiet, uneventful town of Haven. Much to her disappointment, she finds she’s often relegated to menial cases and overlooked when more serious incidents occur, although they don’t happen often. So Jennifer tries to find solace in her humdrum existence – her constant OCD house-cleaning, her pride in her smart wardrobe, complete with killer heels, her prickly relationship with her sister Amy, and the quality time she gets to spend with her beloved nephew Josh. Her complicated childhood is alluded to, together with her memories of a mother whose shoes she’s trying to fill by following her footsteps into police work. Haven’s quiet complacency is shattered, however, by a series of deaths. Most have seemingly simple explanations, but something about them makes DC Knight uneasy. There are hints that all is not what it seems, and not quite as easily explained away as her partner Will, and superior DI Allison would like her to believe. 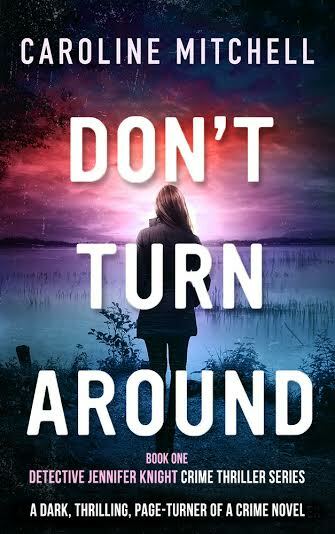 Strange incidents begin to dog Jennifer’s day-to-day routine, and she has no choice but to investigate further, and to dig deeper into her very soul than she ever imagined she would need to. Through clever construction, alternating between present day and the seventies, we’re skilfully and steadily allowed entry into the ‘otherworld’ of a complex serial killer who has overcome all odds over many years, and who refuses to die. With inventive flair, the author weaves hints and allusions into her storyline, ideas that we know are there, but just beyond our realm of comprehension, until the final crescendo is reached ; one which we could never have imagined! It’s not for the faint-hearted, or for those not willing to open their minds to the possibilities of what’s ‘out there’. But it is most definitely for those who believe that there are forces that exist beyond our sight and understanding. This is the first in what promises to be an imaginative and original series in which DC Knight, together her trusted partner Will and the charismatic Ethan, uses her psychic abilities (supressed since childhood) to solve crimes involving ‘preternatural events’; crimes that are disturbingly on the increase. I can’t wait to read more from Caroline Mitchell and DC Knight!